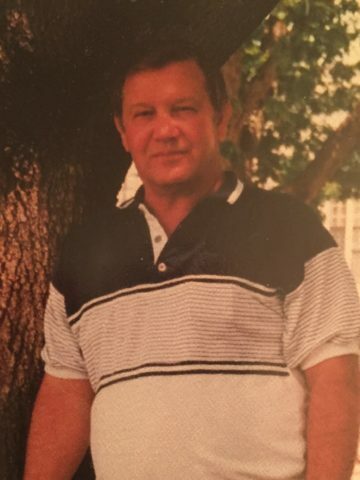 Herbert Lewis Wood age 74 of Nashville passed away on September 3, 2017 in Madison. He was born on October 23, 1942 to the late Louis and Bessie Lee Wood in Nashville. In addition to his parents, Mr. Wood is preceded in death by his brothers, William Michael Wood, Dennis Lee Wood and Bethel Edwin Wood. Mr. Wood was a United States Veteran serving in the United States Marine Corp. He was a member and past president of the Sheet Metal Workers Local #177 and a plumber by trade. Family was everything to Mr. Wood he worked hard to provide for his family. He loved the outdoors and in later years riding his motorcycle with his wife, Victoria. He made it to as many events with the his children as possible and wish he had made more, however he knew that when the work was there it was time to work so that his children and wife would never want for anything. Mr. Wood will be forever remembered as a loving husband, devoted father, grandfather and great grandfather and brother. He is survived by his beloved wife of 32 years Victoria Rushford Wood; children, Gayle Wood, Rodney (Brandi) Maynard, Angela Wood, Allen (Nikel) Wood and Desiree Henley; grandchildren, Wesley, Caitlin, Adrianna, Emily, Henry, Alexis, William, Richard, Justin, Adam, Alex, Heather and Branda; great-granddaughter, Kailynn; sister, Estelle Ray; brothers, Virgil Wood, Rosson (Jackie) Wood and Paul (Shirley) Wood; sister-in-laws, Katherine “Tootsie” Wood and Kimberley(Wade) Reed; and numerous nieces, nephews, and cousins. A Life Celebration will be held on September 8, 2017 at 7pm in the Chapel of Cole & Garrett Funeral Home in Goodlettsville. The family will receive friends on Friday from 12:00pm until the time of service. In Lieu of flowers the family request donations be made to the Nashville Shriners P.O. Box 78545 Nashville, Tennessee 37207. May the many years of memories be pleasant for you and your family.